Advanced Data Import VCL is a component suite for Delphi and C++ Builder that allows you to import data from files of the most popular data formats to the database. 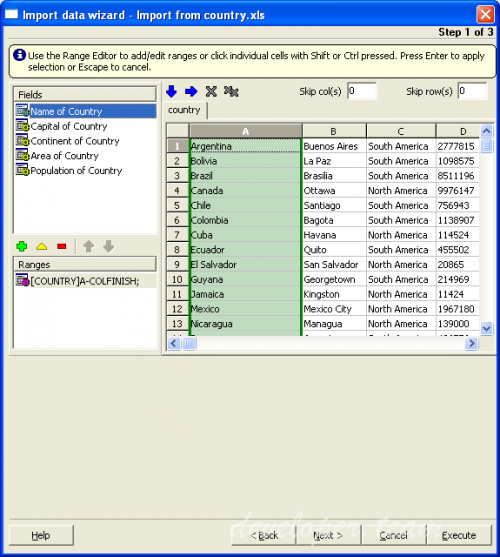 You can import data from MS Excel, MS Access, DBF, XML, TXT, CSV, ODF and HTML. There will be no need to waste your time on tiresome data conversion – Advanced Data Import will do the task quickly, irrespective of the source data format.